The Ozobot app lets you play different types of games with one or more robots right on your tablet (9" or larger recommended). The app includes three distinctive games: OzoDraw, OzoLuck and OzoPath. OzoDraw - a drawing game designed to foster creative play and interact with the robot. The app also will introduce you to Ozobot's color codes - an intuitive high level language that lets you control the robot and it's many capabilities simply based on color changes. In FreeDraw and Playgrounds modes, OzoDraw gives you a freestyle drawing environment to create tracks and mazes for Ozobot to navigate. You can either start on a plain canvas in the FreeDraw mode or select from many maze backgrounds as a starting point in the Playgrounds mode. 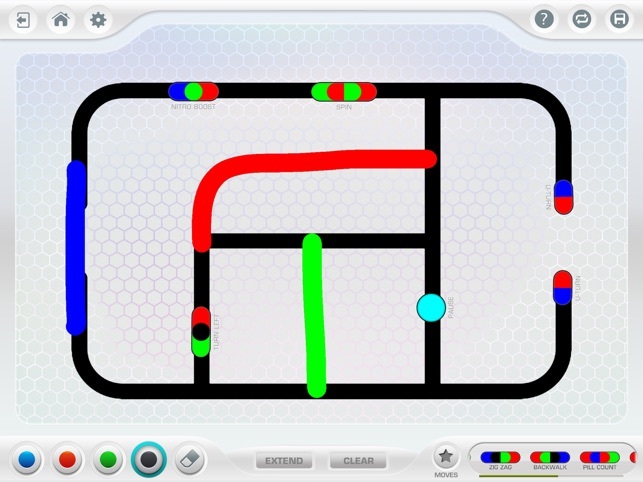 OzoDraw also introduced the Challenge mode which combines a simple logic exercise with the learning of Ozobot's basic functions and color codes. Solve each challenge level to counter Ozobot's independent logic and get the robot from Start to Finish with the use of a few select codes. - Create basic to intricate tracks using colors for Ozobot to navigate. - Use the CodeDrop feature to drag and drop both static and flash codes onto your mazes and drawings. - Use the Extend feature to easily connect line end points even while Ozobot is on the tracks. - Save your best mazes and continue playing with them later. 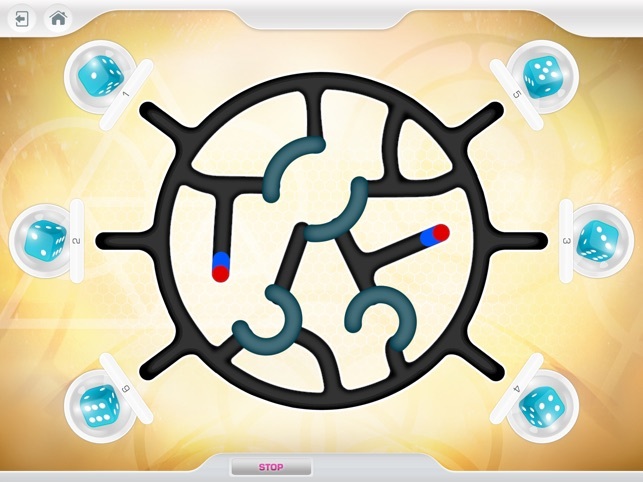 - Learn more about Ozobot's codes and logic while solving 23 maze levels in the Challenge mode. 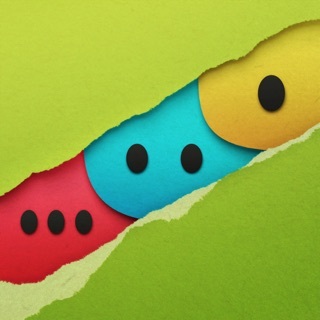 OzoLuck - a social game of chance where Ozobot chooses your luck. OzoLuck takes advantage of Ozobot’s independent behavior to navigate mazes and select the lucky outcome. This game includes a collection of several interesting and visually distinct mazes with a configurable outcome range (2-8 players or outcomes). The DoublePlay mode allows the winning player to play another round to get the main prize or meet another customizable objective. OzoLuck player configuration feature allows to add photos, images, and names to each outcome. Additionally, OzoLuck comes with several preconfigured quick start options to play games with numbers, dice, magic 8-ball, etc. 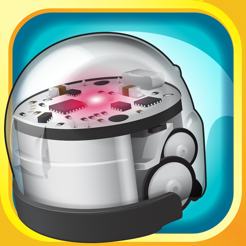 OzoPath - single or dual player tile-based strategy game for Ozobot. 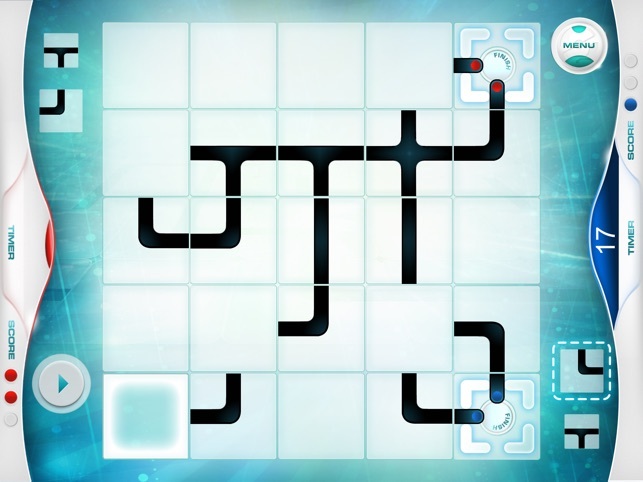 OzoPath’s objective is to populate a 5x5 game board using randomly appearing path tiles such that Ozobot can navigate from the start to the end tile. The game requires tiles to be assembled in a connected network fashion and the game engine shows the player the valid placement choices at each move. In single player mode, the challenge is to complete the path and get the robot to the end tile. 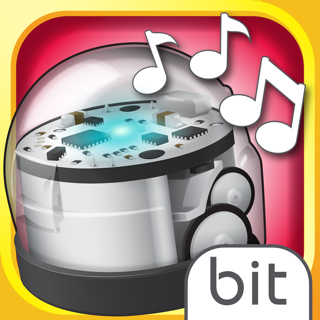 In dual player mode, the game can be player with one or two Ozobots. 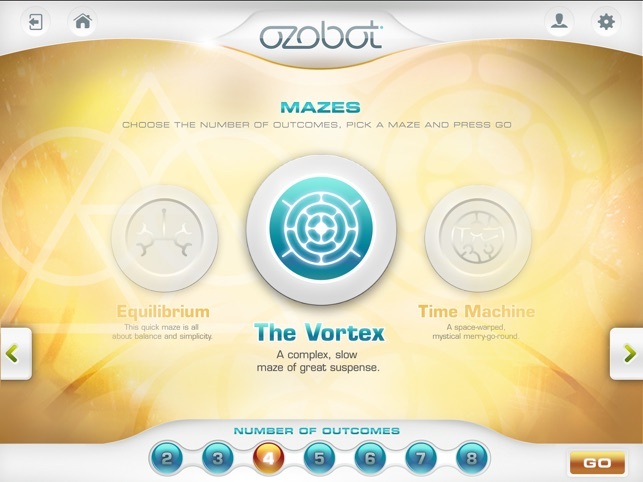 In the former case, each player gets a home base, and they alternate turns and use offensive and defensive strategies to get Ozobot to their end tile. 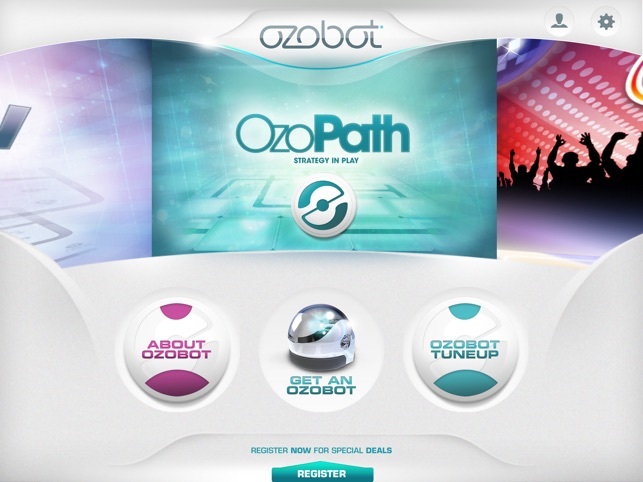 The latter dual-bot game version features two starting tiles and tasks players to get their Ozobot first to the end tile to win the game. OzoPath includes several game variants and in-game features such as move timers and special erase tile modes.